13 "Blacks and Jews: Ambivalent Allies"
Rabbi Michael P. Lerner was a member of New American Movement and founder of the Institute for Labor and Mental Health. Rabbi Lerner has been described by thinkers like Cornel West and Jim Wallis as a contemporary prophet. He is also editor of our bi-monthly Tikkun Magazine, a full time job, plus the chair of our interfaith Network of Spiritual Progressives, and also rabbi of Beyt Tikkun synagogue which alternates services in Berkeley and San Francisco. Circa 1969,Michael Lerner, New Left Forum, Berkeley , was listed as a sponsor of the Socialist Workers Party led GI Civil Liberties Defense Committee . In the period after the formation of the Weather Underground Organization at Flint Fichigan,, Michael Lerner and Weathermen Chip Marshall, Jeff Alan Dowd and Joseph H. Kelly moved to Seattle to form the Seattle Liberation Front to Bring the Revolution to Seattle.” There they recruited Susan Ellen Stern, Roger H. Lippman, Michael Victor Ables, Christopher L. Bakke, Margaret G. Bennett, Bruce E. Crowley, Karen M. Daenzer, Gerald J. Ganley, Kathleen Ann Korvell, Constance J. Misich, Mark Curtis Perry, Suzanne E. Smith, Arthur K. Sata, and John Vanveenendale. A federal grand jury would indict Dowd, Kelly and Stern along with Michael Victor Ables for a February 17, 1970 attack on a federal building. An article in the SWP weekly newspaper, The Militant, May 8, 1970, p. 3, entitled "Seattle Liberation Front 8 face 'conspiracy' frame-up", by Stephanie Coontz, Seattle, provided some more information on the violent activities of the SLF8, along with a photo of Michael Lerner speaking at an April 18 antiwar rally. Coontz, a major SWP leader and later college professor at the far-left Evergreen Community College and Washington Post book reviewer and occasional columnist (CITE TO OCT/NOV. 2010 item), wrote the following in the article. "On April 16, eight members of the Seattle Liberation Front SLF were arrested on charges of conspiring to destroy federal property. The charges grew out of a Feb. 17 support demonstration for the Chicago conspiracy defendants during which a number of windows at the court house were broken. Although many groups including the Young Socialist Alliance YSA had expressed opposition to the tactics and organization of the original demonstration, all of them have united in the face of these conspiracy charges." "The timing of the arrests was clearly provocative. The Justice Department overruled the local authorities who wished the arrests to be delayed until after the antiwar march scheduled for April 18, in order to make the arrests on the 16th." "In response, the Student Mobilization Committee SMC issued a statement charging that the Justice Department was attempting to provoke violence at the April 18 march and pledging that the marchers would not fall into this trap. SLF spokesmen reiterated this statement at a press conference the next day." "Since the arrests, there have been a number of coalition meetings of groups interested in defense work. There is a good deal of disagreement over whether to build a united-front campaign against the charges or to tie defense work to acceptance of all the Seattle Liberation Front's politics. But so far the united-front perspective has dominated. The Young Socialist Alliance, the Independent Socialists IS, and a number of other groups around the state have issued support statements. On Friday, April 17, the SMC turned over part of its strike activities to a defense rally for the SLF defendants pointing out that the conspiracy charges are an attempt to intimidate all leaders of the movement by holding them responsible for any actions which may occur at demonstrations they organized, even if such actions were caused by police provocateurs." "Contributions may be sent to: Seattle Legal Defense Fund, P.O. Box 1984, Main Post Office, Seattle, Washington, 98111." The concept of the New American Movement originated soon after the disintegration of Students for a Democratic Society in Chicago in 1969, when John Rossen, a one-time district organizer for the Communist Party USA and then the landlord of the SDS offices, distributed a number of pamphlets calling for a new revolutionary force based on a combination of Marxism and American nationalism, and organized the Johnny Appleseed Movement for Peace and Human Rights. Rossen's ideas gave birth to two groups. Chicagoan Jeremy Rifkin took over Rossen's pamphlets and and graphics to form the People's Bi-centennial Commission, in which Rossen remained active until at least 1975, while another group developed other aspects. Rossen's influence with the early New American Movement remained at least through the end of 1971, contributing an article to the first issue of NAM's newspaper New American Movement dated September-October 1971. In January 1971, Rossen's ideas were adapted by three former SDS activists - Theirrie Evelyn Cook, one of the negotiators of the People's Peace Treaty with the Vietcong; Michael P. Lerner and Charles "Chip" Marshall, then enjoying a brief notoriety as leader of the Seattle Liberation Front, then trial for inciting a riot in response to the contempt citations in the Chicago 8 Conspiracy Trial. The three Seattle organizers circulated papers call1ng for the creation of a new revolutionary party which they then termed. the New American Community Party. In the late winter of 1970 and into the the spring of 1971, this group worked closely with Rennie Davis in developing plans for the Washington, D.C. Mayday disruptions in support of the Vietnamese communists, with Lerner and Marshall becoming active leaders National Mayday Collective. The Mayday organization provided· the New American Community Party with the opportunity to reach a large segment of the radical community and to receive input from New Left theoreticians such as Douglas Dowd and Staughton Lynd. New members were gained and the name New American Movement began to be used. Among the earliest founders of the New American Movement were James Weinstein of Chicago and West Coast radicals including Michael Lerner, formerly of the Seattle Liberation Front, Theirrie Cook, a supporter of the Peoples Coalition for Peace and Justice and Dan Siegel, former student body president at the University of California, Berkeley. In the early days of NAM, contacts for the organization included Lynne Shatzkin and Jerry Coffin, NY, Michael Lerner, then working from the Cambridge Policy Studies Institute, a branch from the Institute for Policy Studies, Andy Starr, Philadelphia, Alice Lynd and Staughton Lynd, Chicago, Frank Blumer, Seattle, and Jim Williams, by 1975 a co-editor of the Communist Party USA trade union publication, Labor Today. Workshops included "Fighting the New Right" - James Farmer, CAPE; Midge Miller, InterChange; Mary Jean Collins, moderator; Dr. Michael Lerner, Institute of Labor and Mental Health. In 1981 Barbara Ehrenreich, Long Island NAM; Michael Lerner, NAM Assoc, founder, Institute for Labor and Mental Health; Richard Healey, Co-Chair, Political Education Commission and Peg Strobel, Co-Chair, Campus Commission spoke at a public plenary entitled Visions of Socialism at the 10th Convention of the New American Movement. The convention was held in a union headquarters in Chicago and ran from July 29 - August 2, 1981. Michael Zweig; Michael Lerner, Editor, Tikkun; Pamela Brubaker and Larry Rasmussen, Union Theological Seminary were speakers on the Religion and Economic Justice panel at the Tenth Annual Socialist Scholars Conference. The conference was held April 24-26, 1992 at the Borough of Manhattan Community College, New York City. In 1982 the Democratic Socialists of America Feminist commission initiated a publication called "Women Organizing". The August 1982 issue included articles by Barbara Ehrenreich, Kate Ellis, Roberta Lynch, Michael Lerner and Deborah Meier. 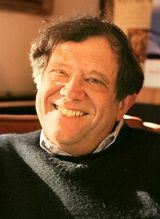 In a 1998 list of Democratic Socialists of America aligned publications, Michael Lerner was described as a "DSAer"
Tikkun - The journal of the Jewish left, edited by DSAer Michael Lerner. Rabbi Michael Lerner editor, Tikkun Magazine, author, Healing Israel/Palestine ,was one of 100 "prominent Americans" who signed an October 26 2004 statementcirculated by 911Truth.org calling on the U.S. Government to investigate 9/11 as a possible "inside job". As of Jan. 1, 2010, Lerner was a member of the Board Rabbinic Cabinet of the Jewish Alliance for Justice & Peace. The liberal-left Washington, D.C. political newspaper POLITICO, has, on its "Opinion" page, a section entitled "Arena Digest" wherein political figures are asked for their views on a daily question. In the August 4, 2011 edition of Politico, the question was: "Is Texas Republican Gov. Rick Perry's Day of Prayer and Fasting Appropriate?". One of the respondents was Rabbi Michael Lerner, the longtime marxist radical who has been posing as a "Jewish" liberal voice on political issues, and is the editor of the far-left magazine Tikkun. Here is his full answer as published in this newspaper. "Our country needs atonement, and an ethically grounded political leader has every right to suggest prayer, fasting,etc. Such a leader would have us atone for our destruction of the environment, our ignoring the poor and the powerless both in the U.S. and around the world, our turning our backs on the undocumented immigrants, our inability to see that our own well-being is inextricably tied to the well-being of everyone else on the planet, our fighting wars around the world to support our waning empire, our materialism and selfishness that were manifested in a budget deal that takes from the needy and does not ask sacrifice from the wealthy and our arrogant self-satisfied nationalism and insensitivity to each other." ↑ Personal communication from former Human Events and Pink Sheet/American Sentinel reporter Max Friedman, who covered many such demonstrations in Wash. D.C. during the 1970's and 80's, including the extremely violent May 1971 attack on D.C. Police Chief Jerry Wilson, which left him with a bloody head, several of his officers injured when knocked off motorcycles by rock-throwing Maoists, and Friedman with a bruised chest after being hit by a large rock. This page was last modified on 9 April 2018, at 04:25.